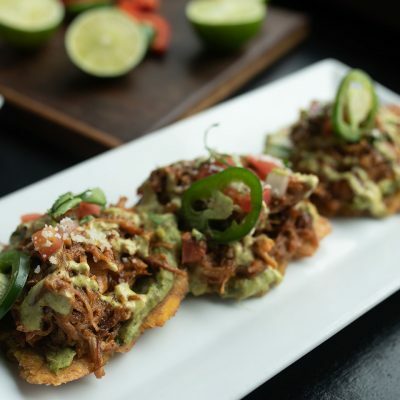 Feast on favorites starters like fresh guacamole, pico de gallo & tropical chips, stuffed sweet plantain, empanadas, tostones rellenos , and ceviche to rev up your taste buds. 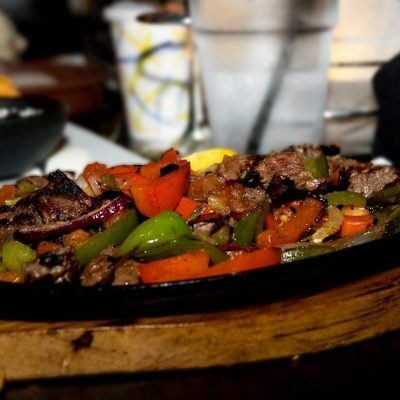 Then, cure your cravings for bold flavors with any of our street tacos, carne asada, burrito, Latin style lasagna and much more. 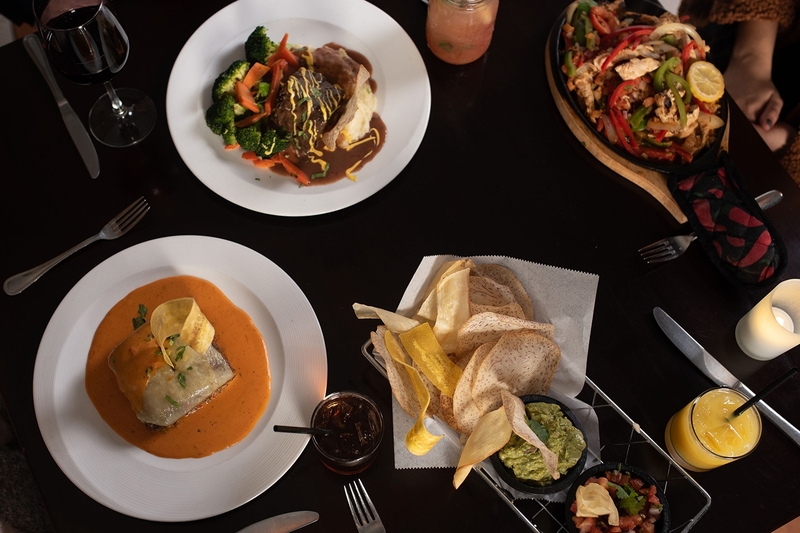 Sip on house made sangria, mojito or fresh squeeze margarita, while enjoying your meal. 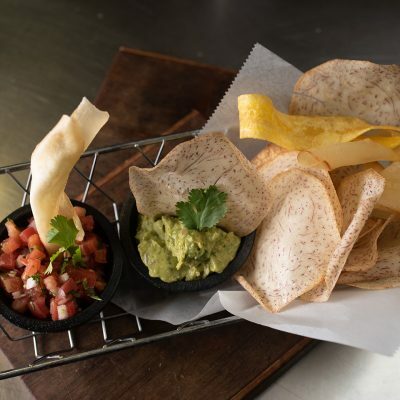 House made Guacamole, pico de gallo, seasonal tropical chips. 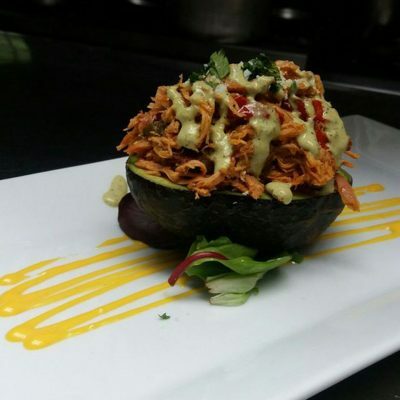 Half an avocado stuffed with pulled chicken*, topped with poblano ranch and cotija cheese. 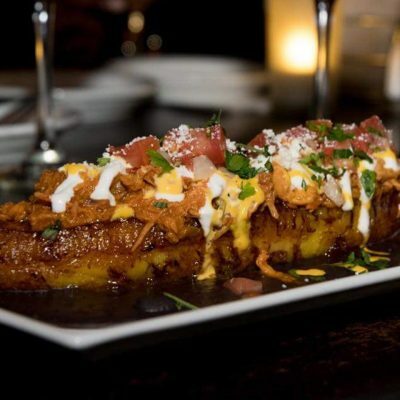 A whole fried sweet plantain, stuffed with pulled chicken*, pico de gallo, latin cream, saffron aioli and cotija cheese. Served on a bed of salsa beans. 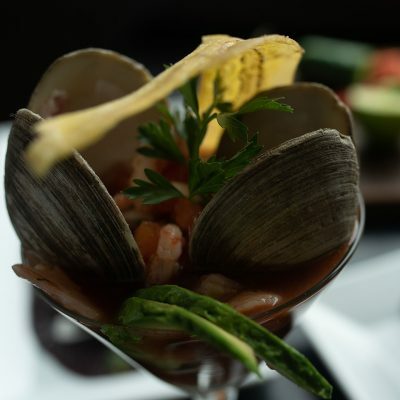 Shrimp, calamari, clams, lime, tomato, red onions, cilantro, black toro sauce, avocado. 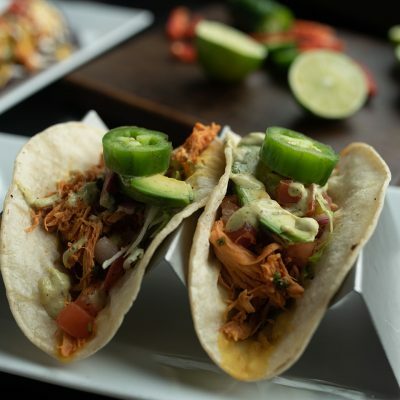 Yuka’s pulled chicken*, avocado, jalapeños, pico de gallo, lettuce and poblano ranch. 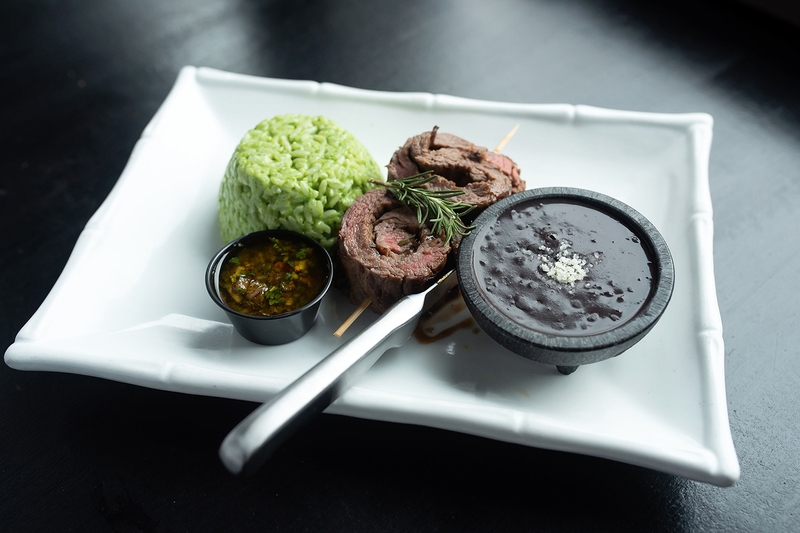 Served on a sizzling dish, accompanied with rice, beans, guacamole, crema and tortillas. Latin fusion Lasagna with sweet plantains, chimichurri- ground beef,Jack cheese over abuela’s sauce. Grandma’s recipe. 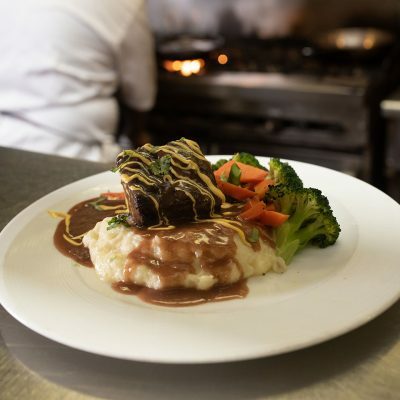 Slow cooked red wine reduction Beef boneless short ribs,yuka mash and vegetables. 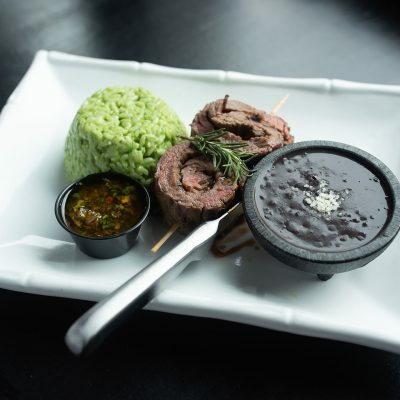 Fire-grilled skirt steak, spinach rice, black beans, chimichurri. 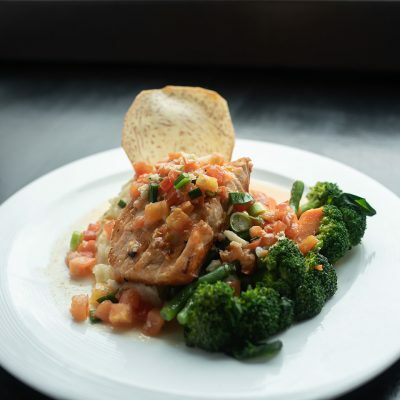 Sip on house made sangria, mojito or margarita, while enjoying your meal. 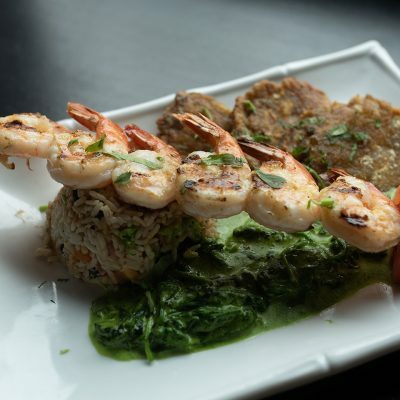 Be sure to stop over for our everyday happy hour which is ideal for meeting up with friends and family. Weekly happenings and drink specials like Mojito Wedneday and the ever popular Ladies Thursday, Karaoke Fridays offer plenty to keep everyone entertained. Our tequila collection is second to none!! Try our hand craft delicious cocktails.